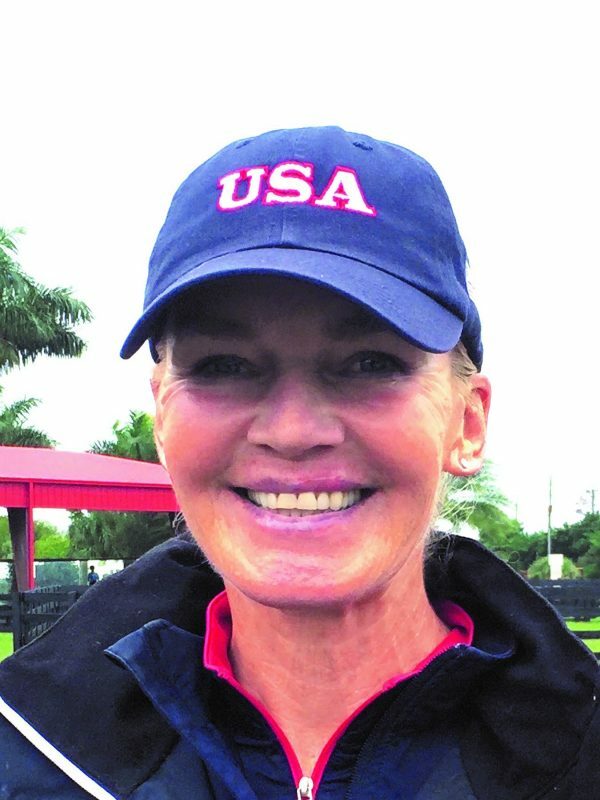 A sought-after trainer and clinician, American Olympic dressage rider Christine Traurig was born and raised on her parents’ breeding farm near Verden, Germany. 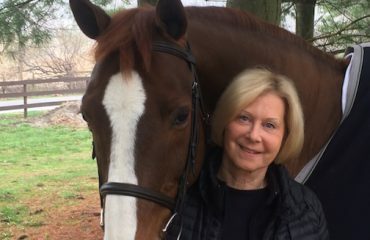 She rode and trained for the Hanoverian Elite Sales in Verden before moving to the United States in 1982, where she assisted Bernie Traurig in operating an import and sales business of dressage horses and jumpers. Christine and Bernie were instrumental in establishing the Saudi Arabian Equestrian Team and Federation. With her equine partner Etienne, Christine was a member of the 2000 Sydney Olympic bronze medal team. 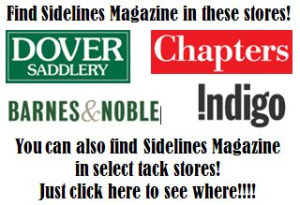 She now operates Christine Traurig Dressage Stables, Inc. in Rancho Santa Fe, California. 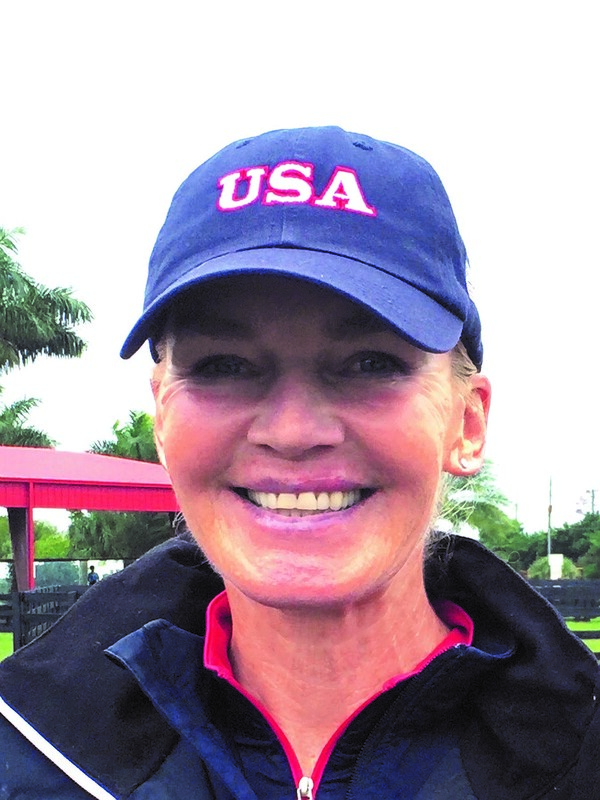 She conducts clinics and symposiums all over the U.S. and in 2015, was appointed to the position of USEF National Coach for Young Dressage Horses. 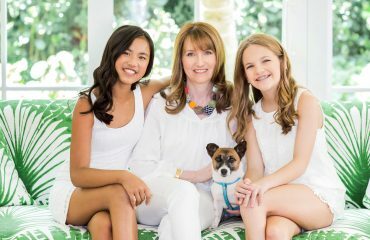 Do you have a question you want Christine to answer? 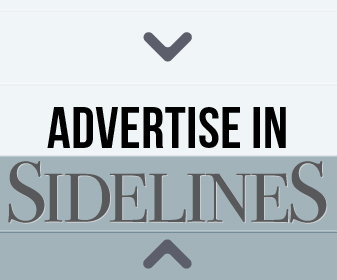 Send questions to editor@sidelinesnews.com. How do you retrain a horse that’s used to verbal cues? Are verbal cues ever useful or acceptable? Verbal cues are acceptable as long as they are not substituting for fundamental aids. Noticeable verbal cues during a dressage test are penalized. I have not yet come across a horse that performs simply on verbal cues in dressage or jumping. However, I’ve seen some that depend on the verbal cues to confirm or support the rider’s physical aids. In order to retrain this dependency on verbal cues, it’s important for the rider to reinforce and confirm the understanding of technically correct physical aids. This takes time and repetition. As we all know, old habits are tough to break. 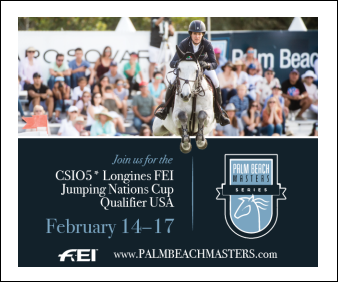 As a novice rider, how should I choose what shows to compete in? First of all, a novice rider should never go to a show without being under the guidance and instruction of the trainer whose program the novice rider has joined. No novice riders should go to a show on their own; it’s not safe for the rider and other competitors in the competition. It’s important to listen to the expert advice of the trainer in the choice of the show. The show should not be too big as to where the warm-up arena gets very crowded. 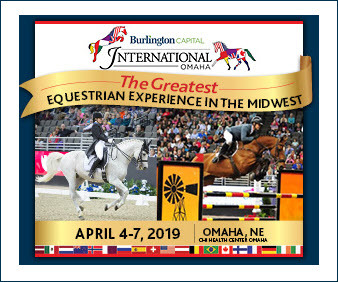 The warm-up arena is the most “challenging” place at a show unless you are in a specifically designated warm-up when competing in a CDI. The location and the environment of the show are important: It’s necessary to avoid a lot of noise and or busy roads next to the show grounds. The bottom line is, choose small shows (even schooling shows), stay local and listen to your trainer. At Training Level, what are judges looking for in transitions? I believe judges pretty much look at the same thing at any level: seamless transitions from one gait and tempo to the other gait and tempo. At Training Level, the judges look for a transition where the horse maintains contact to the bit and is out to the contact, meaning the horse is showing a seeking, reaching and desire to stretch to bit. Therefore, the transitions at Training Level are all from forward upwards (working trot to working canter) and forward downwards (working canter to working trot) as well as working trot to walk on a long rein. All the transitions should demonstrate the tension-free and supple way within which the horse goes to the contact and accepts the bit in its fundamental understanding. What would you tell amateur riders who seem to be stuck at Third Level? The jump from Third Level to Fourth Level is a big one: A more advanced degree of impulsion followed by collection is required. There are tempi changes, half pirouettes and shorter, steeper lines of shoulder-in to half-pass. 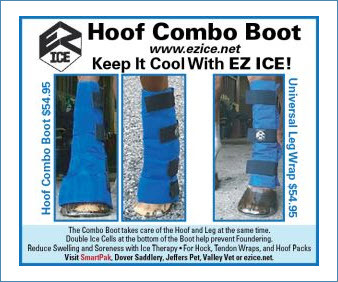 This takes skill and timing to keep your horse through and in front of you, and to have half-halts to make it all happen. A lot of amateurs do not have the stability in their seat to be effective in that regard, which leads to the fact that they “chase” to the next exercise but have left their horse “behind” them. My question is: What is wrong with staying at a level until you have perfected your skill which enables you to move up? Nothing is wrong with that. There is nothing more dreadful to feel — and watch, for that matter — than the desperate navigation from letter to letter to get to the final halt and salute! 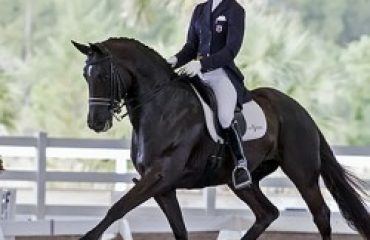 How important is a horse’s breed in upper-level dressage today? Can a horse excel at dressage if it’s not a warmblood?